NONNIE JULES | Our Lady of Victory Remembered! 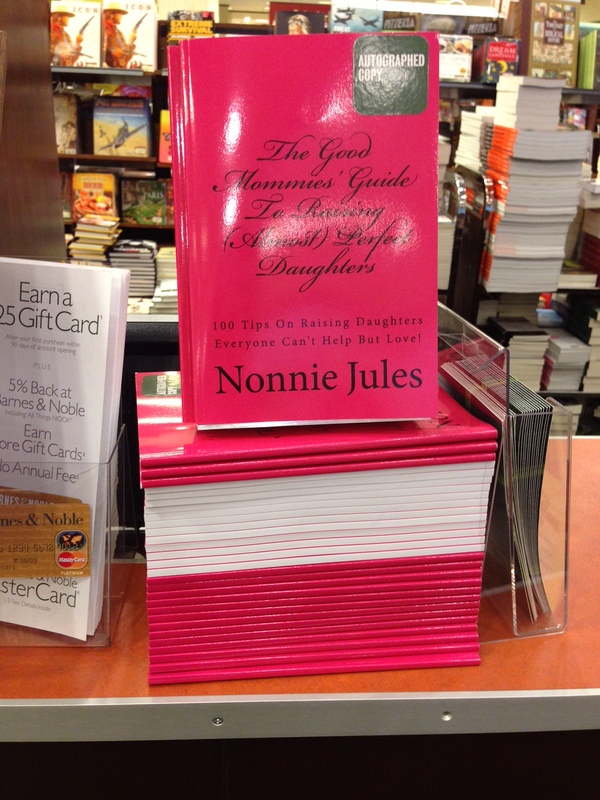 It is always such a treat to host the infamous Nonnie Jules. She always has something exciting to say. Day 10 of her tour is a continuation of exciting things coming from her brain. Thank you Nonnie for gracing my blog post. And now here she is!! Q: WHO ARE YOU? You are one of a kind! Tell us a little about you and what it is you do on a personal level when you’re not dreaming up ways to promote the members? A: I am a wife, a mom, a dog lover (although I have everything but cats in our home), a daughter, a sister and a really good friend! In my spare time (what spare time, who am I kidding?) Well, in the spare time I wish I had, I envision all the great books I could write to right the many wrongs of this world. Oh, and I love reality TV! Q: I do remember those blog posts you used to put out at least once a week. There was always a lesson. Tell me, where were you born and do you live there now? A: I was born in Texas but raised in Louisiana! Q: I’m amazed at all that you do and how much time you commit to the club. Most often, you do act just like a REAL-LIFE wonder woman! How do you do it? A: Shirley, there is a quote on my blog site (www.BooksByNonnie.wordpress.com) that reads: “As a child no one ever told me I couldn’t, therefore, in all things I THINK I CAN!” I truly believe that I can do everything and anything I set my mind to doing. When I first started on this writing journey, one of my very first blog posts was about making a name for myself…and that I have. Although it might be true that we all have limitations, I guess I haven’t run into mine yet. I do this, because somebody has to. There was a great need to be filled and so I took on the challenge. RRBC is what we have to show for all that effort and it’s also proof, that if you envision it, you can be it! Q: Now that was an Amazing answer. Are there any new releases in the works? A: Oh, yes! This is the year of Nonnie, so get ready world! And don’t worry you guys, I’m really going to put that Fitness Guide out, just for you all! Q: Last but not least, when are you going to invite us over? A: Never, there are just too many of you! This has been fun! Thanks for having me, Shirl! 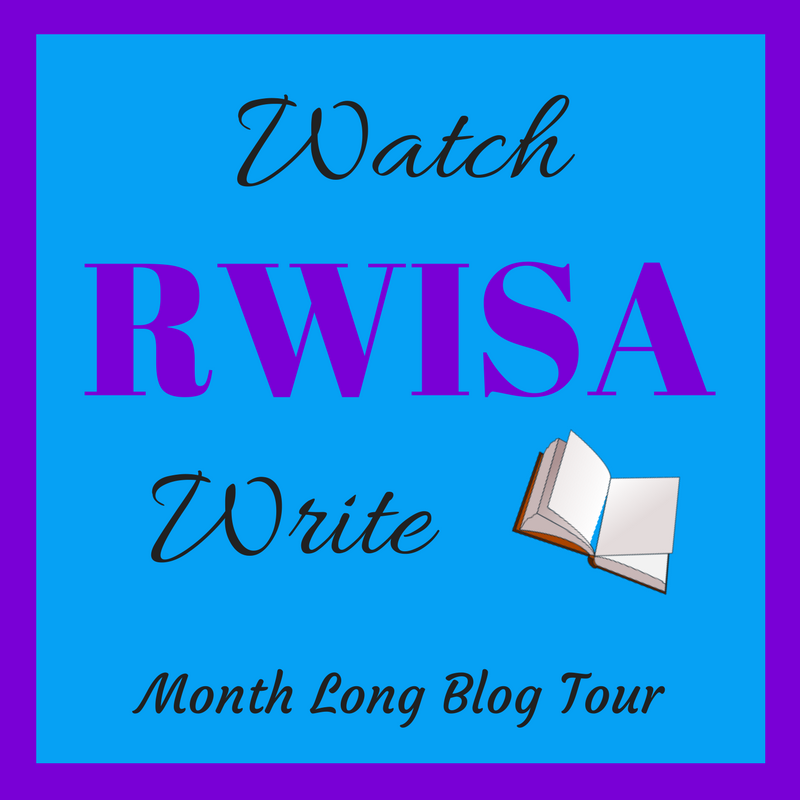 To follow Nonnie’s tour and to get more of your questions answered, please visit her Blog Tour Page on the 4WillsPub site. Thanks for stopping by today and good luck on winning some of these great prizes! This entry was posted in Blog Tour and tagged 100 THINGS WE ALL WONDER, ABOUT NONNIE JULES” Blog Tour, Day #10, DAYDREAM'S DAUGHTER, GIVEAWAYS, IF ONLY THERE WAS MUSIC, NIGHTMARE'S FRIEND, NONNIE JULES, Our Lady of Victory, THE GOOD MOMMIES’ GUIDE… on February 23, 2016 by Shirley Harris-Slaughter. #RRBC BACK TO SCHOOL BOOK & BLOG BLOCK PARTY!! 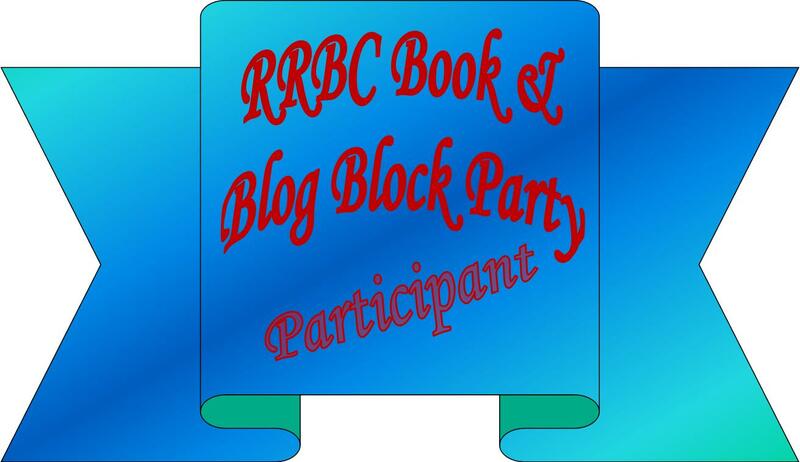 WELCOME TO RAVE REVIEWS BOOK CLUB BACK-TO-SCHOOL BOOK & BLOG BLOCK PARTY! 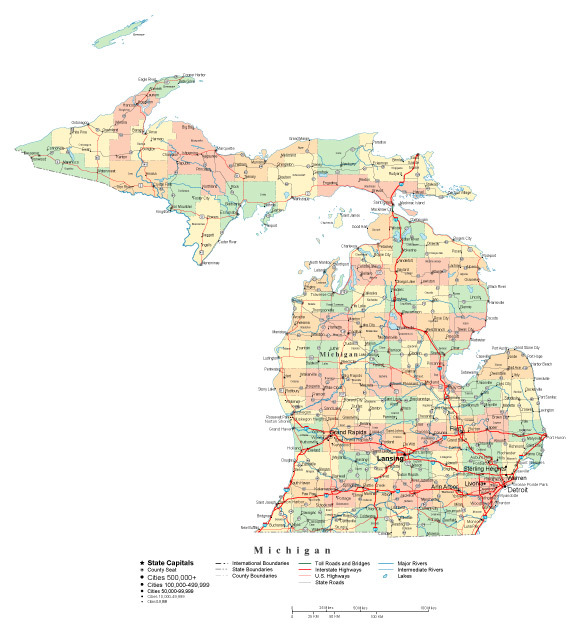 LOCATED IN SOUTHEAST, MI SURROUNDED BY THE FIVE GREAT LAKES!! (1) 10.00 AMAZON GIFT CARD!! 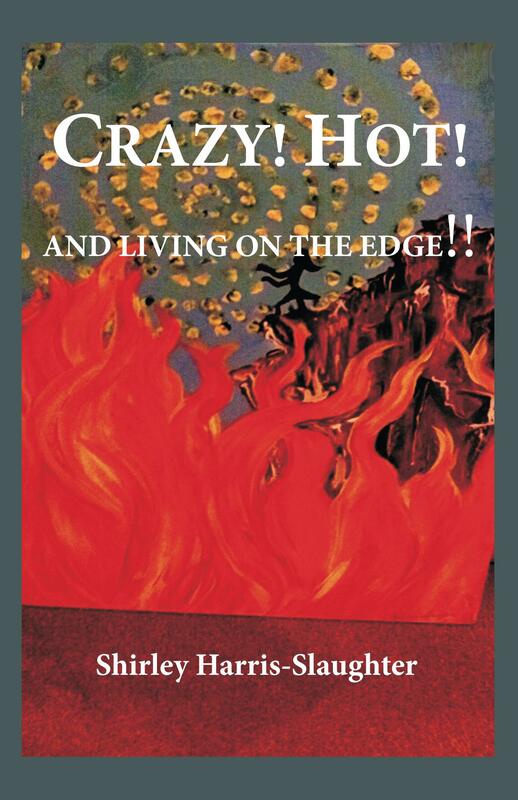 1 Autographed paperback copy of CRAZY! HOT! AND LIVING ON THE EDGE!! HERE ARE MY SELECTIONS: A little something about me, and a blurb to acquaint you to what the titles are about. 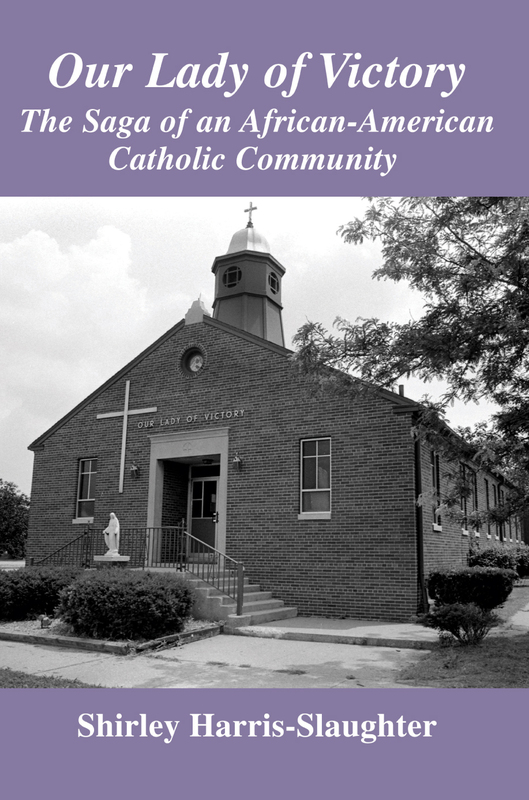 I’ve been an Indie Author since 2007 when I came out with my very first book, Our Lady of Victory, The Saga of an African-American Catholic Community. I wrote it because I felt that our history was about to be lost forever and I had a strong urge, that I couldn’t shake, to make sure it didn’t happen. I re-published again under a different publisher and had a Facebook Re-Launch Party to introduce it through 4WillsPublishing. It has been an amazing journey. Upon learning what these amazing pioneers did was a source of pride for me. We didn’t see much in our lives to be proud of and so any little found nugget was a delight. When I met Nonnie Jules on Twitter, it was the beginning of a wonderful relationship. She had a vision and my book was about to get some long overdue recognition. Plus she was a part of an elite few to give me an honest review. Before RRBC, people who did a review mostly wrote like they had to tell a story and do a lot of embellishment. You really have to know how to write a genuine review. And so I appreciated Nonnie so much for being so real. It started a conversation that I had been dying to have. Like most of us authors I was on my own, not realizing that in helping others I would help myself. Such a novel concept, but it works. I’m glad I found that out. My second book was created out of a need to share personal traumas experienced in a relationship gone bad; and life examples of the health problems that ensued from it. This book was never supposed to see the “light of day” but stranger things have happened. Imagine experiencing emotions that have you questioning your sanity. Your body gets overheated at the least bit of excitement and you scramble to find a fan or some air. Or you find yourself in the throes of a panic attack and can’t understand how to shut it off, so you are filled with anxiety wondering when the next one is coming. What if every time you take a drug you experience side-affects that you are warned about on the label? The title was conceived in my mind after I thought over all the situations I had found myself in, getting out of them, and the affect all of this had on my overall physical and mental well-being. Crazy! Hot! And Living On the Edge!! Is the True Story of My Upside Down Life! 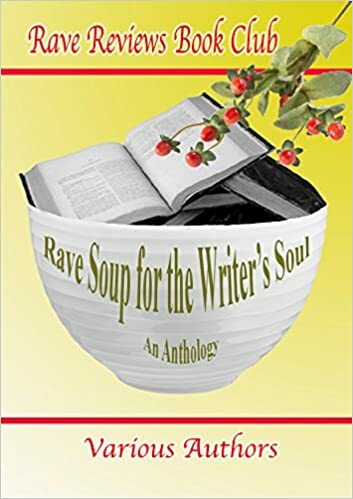 The RAVE SOUP FOR THE WRITER’S SOUL Anthology is a compilation of motivational, inspirational and humorous stories from some of the most talented writers of the RAVE REVIEWS BOOK CLUB. These stories and poems are meant to inspire you and lift you up at the exact moment you need it. We all know how soup warms our bodies, and there are so many different brands on the market to choose from, but for a writer, only RAVE SOUP FOR THE WRITER’S SOUL will do! So pick up your literary spoon and ENJOY! I will never forget being introduced to my own father. I didn’t know him because he was gone more than he was there. So we didn’t get the chance to bond with him. He told us to call him daddy. I looked at mother and she nodded her head in approval. I couldn’t believe she did that nor did I believe that he was my father. But I had to do what I was told. So I called him daddy – reluctantly. I never forgot that moment because it was traumatic. He had no one to blame but himself for this predicament. He actually seemed a bit annoyed that we didn’t draw closer to him. He was a stranger! How do you forget something like that? Thank you so much for stopping by and joining the Party. Do share your comments and do stop by again. Please share this post on your way out. I’ll see you at the next stop of the #RRBC BOOK and BLOG BLOCK PARTY! This entry was posted in Blog Block Party and tagged 4WillsPublishing, BACK TO SCHOOL BOOK, BLOG BLOCK PARTY, Crazy! Hot! And Living On The Edge! 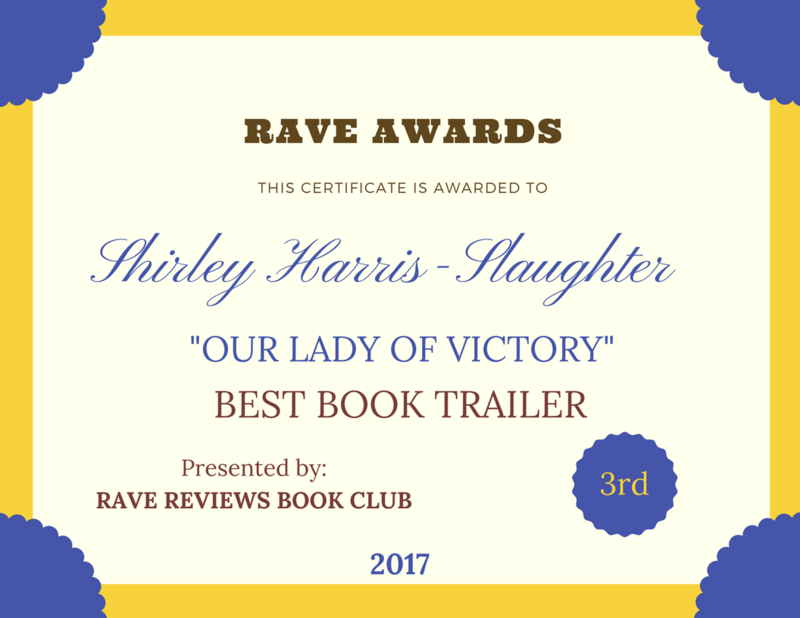 !, Facebook Re-Launch Party, NONNIE JULES, Our Lady of Victory, Rave Reviews Book Club, RAVE SOUP FOR THE WRITERS SOUL 2014, the Saga of an African-American Catholic Community on September 1, 2015 by Shirley Harris-Slaughter. NONNIE JULES was born in TX but when she was a little toddler her family relocated to Shreveport, LA for reasons unbeknownst to her. She still lives there today with her husband and two wonderful daughters on a strip of land which she likes to refer to as THE FARM. She lives a very peaceful existence (aside from the many animals her daughters have amassed) and this existence allows her to do what she loves most, and that is to create life thru words in written form. Her first published work is “THE GOOD MOMMIES’ GUIDE TO RAISING (ALMOST) PERFECT DAUGHTERS”, 100 Tips On Raising Daughters Everyone Can’t Help But Love! is doing very well, especially in paperback format. You are invited to check it out here on amazon.com/dp/B00CP62O56. (Feel free to also view the book trailer at http://youtu.be/zg15rptFN2g). Nonnie writes from many different genres including fiction and non, poetry, short stories, you name it. 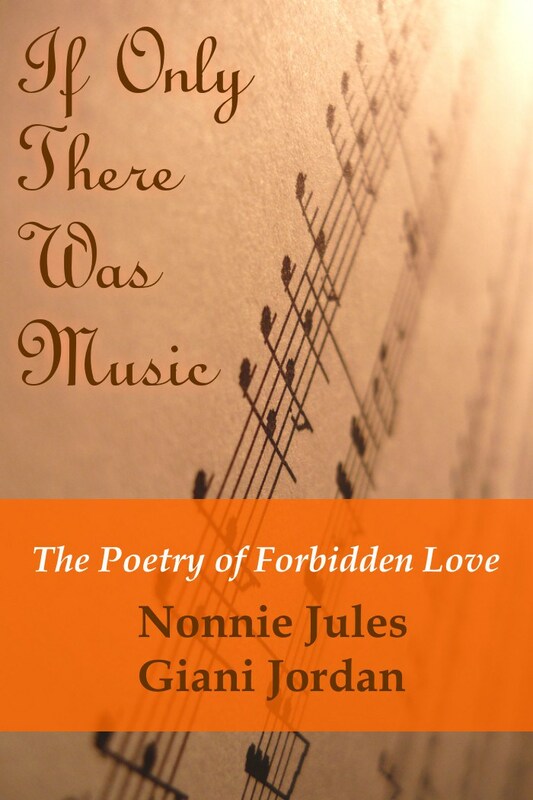 She’d love for you to keep in touch by following her on Twitter @nonniejules and you’re also invited to follow her blog WATCH NONNIE WRITE! at nonniewrites.wordpress.com. This is the second stop on her 7 day “MEET THE CHARACTERS OF DAYDREAM’S DAUGHTER, NIGHTMARE’S FRIEND” Blog Tour and you can follow the entire tour here at http://wp.me/p3sUCq-rv. And now, I’d like to introduce the character interview of AURELIA “DAYDREAM” JAMES. Q: Hello Aurelia “Daydream” James! Is Daydream your given name or a nick-name, AND how did you come by it? A: Well, seeing as though I’m well over the age of 22 when young parents were handing out those silly names like Mercedes, Porscha and Beautiful, it should be obvious that it’s a nickname. My brother gave me the name and you will have to read the book to find out why. Q: Which would you prefer to be called during this interview? A: My name is Aurelia. I’m a tad bit too old to be called Daydream, although some of my family members and friends that I’ve known since childhood all still call me Daydream. A: I am Maiya’s (the main character) mother, unfortunately. Q: Unfortunately? Why would you say that and I guess I need to go a step further and ask what kind of mother would say something like that about their own child? A: I say that because IT IS UNFORTUNATE that I am her mother and you want to know what kind of mother says something like that? 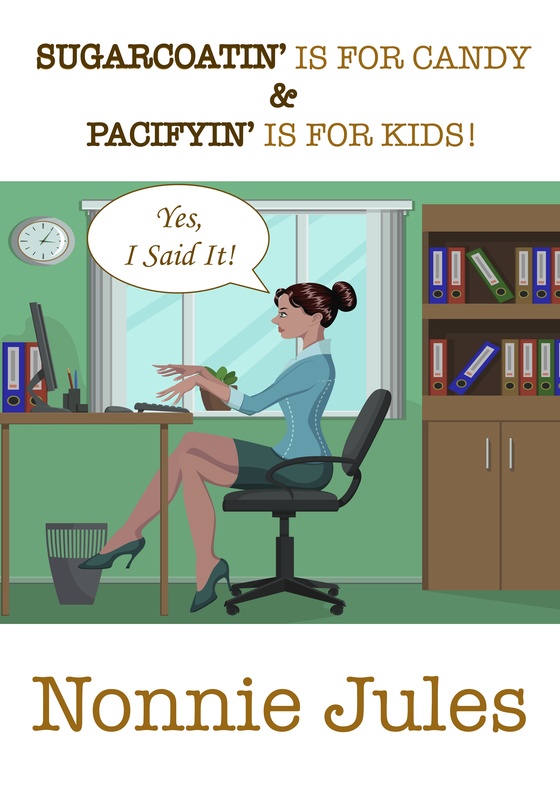 Try a mother who’s fed up with the antics and the lies from that child. Q: I read an interview that Maiya did recently and it seems she had similar feelings about you. How sad is that and why is there such animosity between the two of you? I mean, she’s only a child. A: I read that freaking interview she did. She’s pure evil, nothing but evil! (Aurelia now has a scowl on her face as she leans in to me). Maiya is the only child out of the seven that I have that has ever given me problems. She has been problematic for me since she was born! If you don’t believe me, she was even a breach baby, and that ought to tell you a lot! The only one I had that came out feet first. I knew then that she was different, in a bad way, you know? Q: Aurelia, you speak very harshly about your 16 year old daughter but you’re not giving me any concrete reasons as to why you obviously despise her. She, in her own words said YOU DIDN’T LIKE HER AT ALL. What do you say to that? It has to be hard to hear. A: You want me to tell you why I feel the way I do about that girl? OK, then I’ll tell you. She seduced my own husband, in my own house. That’s why I can’t stand her! You say she’s a child? Well, she sure as hell, excuse my french, doesn’t act like a child. My other children, they ALL act like children. They’re angelic almost, but this one…Ms. Maiya…running around here giving interviews about me, making me look bad to people. I can’t stand her and if I never lay eyes on her again, that would be too soon for me! Q: I’m sorry my questions are upsetting to you, but you do know that we’re on tour because this book, which carries your namesake, is about to be published? Why do you think your name is in the title? A: You will have to ask the author who wrote it. What’s her name…Noonie? Nottie? Nollie? Hell, I don’t know her name. Whatever it is, I’m sure you can ask her this question. I’m just in the book. And I would have appreciated being left out of the book, not having my business put out into the street like this. This was all Maiya’s doing. I know it. I told you…she’s pure evil! Q: I hate to keep bringing up Maiya, but she mentioned in her interview that you and your husband abused her repeatedly. Would you like to offer a response in your defense? A: I don’t need to defend myself against anything that girl has told you or anyone else. My husband, her stepfather, has done nothing but take care of her since he came into our lives. He has been good to her and the things she has accused him of, only the devil would make up such lies on an innocent man. Q: Aurelia, if you don’t mind my asking, what did Maiya accuse your husband of specifically? And she also accused you of abuse. What has she accused you of? A: Read the book. I’m not justifying anymore of that b/s with responses. Do y’all have any beer here? My throat is very dry answering all these nosey questions. Q: I’m sorry, Aurelia. The only thing we have here is bottled water. Would you like some? A: This interview is over. The next time you want me to come answer your damned questions, make sure you have something I like to drink. INTERVIEWER: “DAYDREAM’S DAUGHTER, NIGHTMARE’S FRIEND”, after having two previous release dates that were both re-scheduled, will finally be released on Amazon October 31, 2013. That’s Halloween and some will find this a story perfectly suited to tie in with the occasion. You can view the trailer here athttp://youtu/be.qbUK3XQ5-dA and read an excerpt from the book here http://wp.me/P3sUCq-gj. Thank all of you who stopped by to meet this character and don’t forget that everyone who leaves a comment above for Aurelia “Daydream” James will be entered into a drawing for a $20 Amazon gift card! Please follow the rest of the tour and good luck on winning! 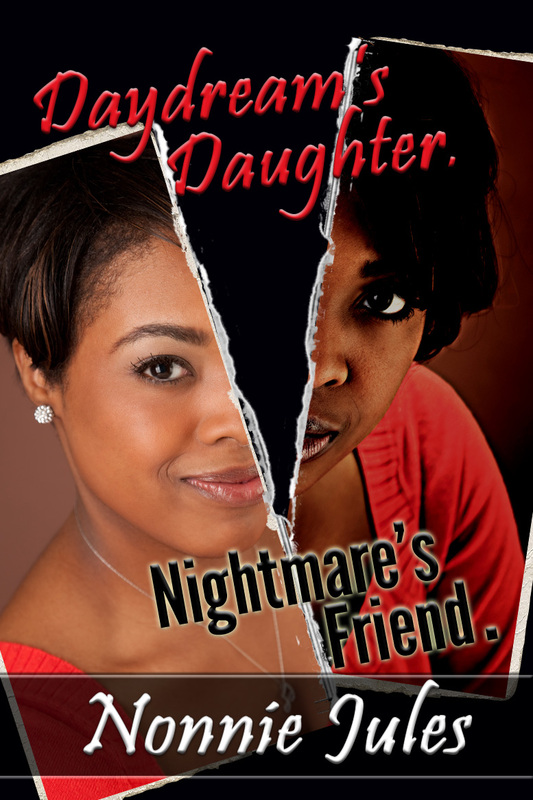 This entry was posted in Guest Blogger and tagged DAYDREAM'S DAUGHTER, NIGHTMARE'S FRIEND, NONNIE JULES, THE GOOD MOMMIES’ GUIDE TO RAISING (ALMOST) PERFECT DAUGHTERS on October 14, 2013 by Shirley Harris-Slaughter.